A STUDENTS’ UNION has accused government TDs of lying in pre-election promises not to increase tuition fees for third-level colleges. Both coalition parties pledged to avoid fee increases before February’s general election – but not a single government TD is now willing to restate that promise, according to the Union of Students in Ireland. The union today launched a campaign of national newspaper advertisements highlighting the perceived turnaround, including the name and phone number of every government TD. 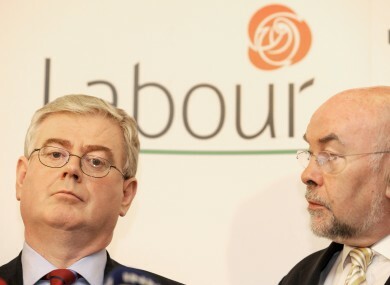 Current education minister Ruairí Quinn and Labour leader Eamon Gilmore both publicly signed a pledge to “oppose and campaign against” any form of fee increases. Fine Gael’s election manifesto also contained a vow “not [to] increase the student registration fee further”. However, the government has recently ruled out a student loan scheme, leading to speculation that fees could be set to increase. Ruairí Quinn has warned that there are no “new crocks of gold” to fund higher education. USI president Gary Redmond said: “Young people turned out in unprecedented numbers to vote in the recent general election. Many of these young people were influenced in their decision by the Labour Party’s commitment not to increase third level fees in any form. A spokesperson for the Department of Education said it could not make any comment in advance of the Budget. Email “Students brand government 'liars' over tuition fee promises”. Feedback on “Students brand government 'liars' over tuition fee promises”.